Marvel Comics has just announced the launch of The Superior Foes of Spider-Man, a new, ongoing seriess by Nick Spencer and Steve Lieber that puts fans in the shoes of the all-new Sinister Six. 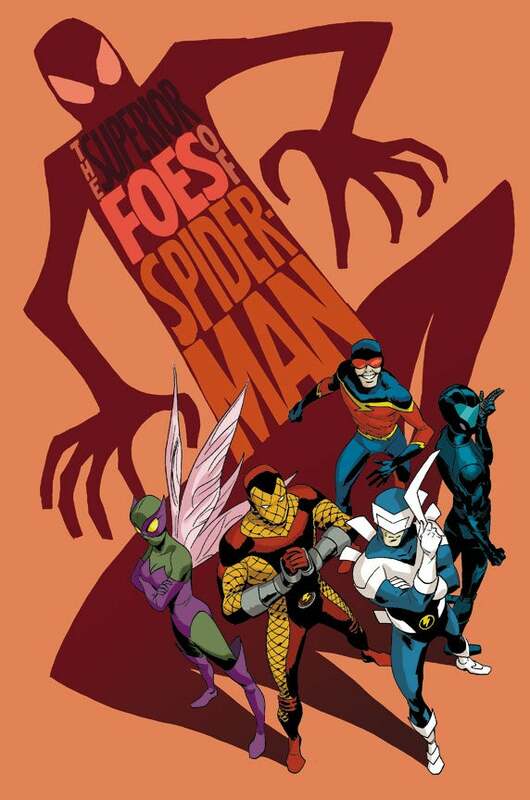 So far, there are only five members--Boomerang, Shocker, Speed Demon, the Beetle, and Overdrive--who upgrade their attitudes and equipment after a run-in with the Superior Spider-Man...but if yesterday's teaser is any indication, there's an outside chance they could get a new Doctor Octopus by the time the comic actually launches. The series launches in July, with a cover (at right) by Marcos Martin.